When it comes to parenting it is always helpful to learn things that will make your life a little bit easier. I know that when my husband and I had Elise we were clueless and we were winging it...in fact we still are. 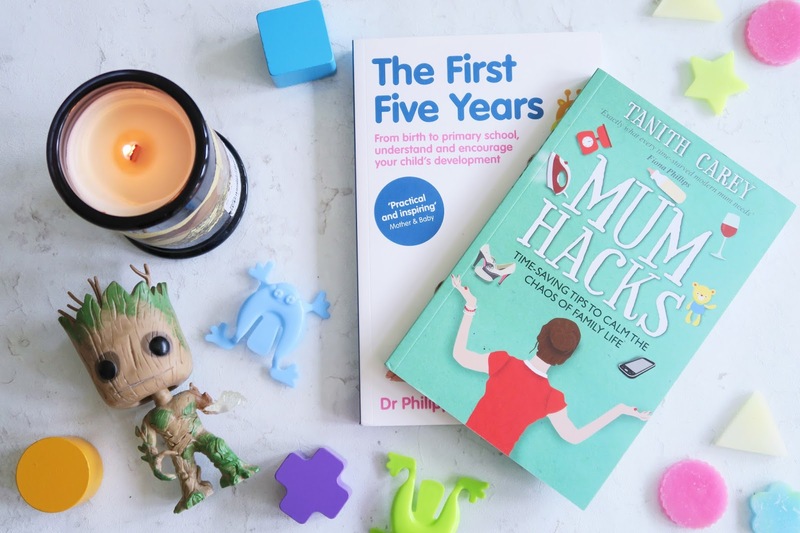 I'm always hunting for different hacks to make life a little bit easier, and I was so pleased when Crimson Publishing offered to send me a copy of Mum Hacks by Tanith Carey. 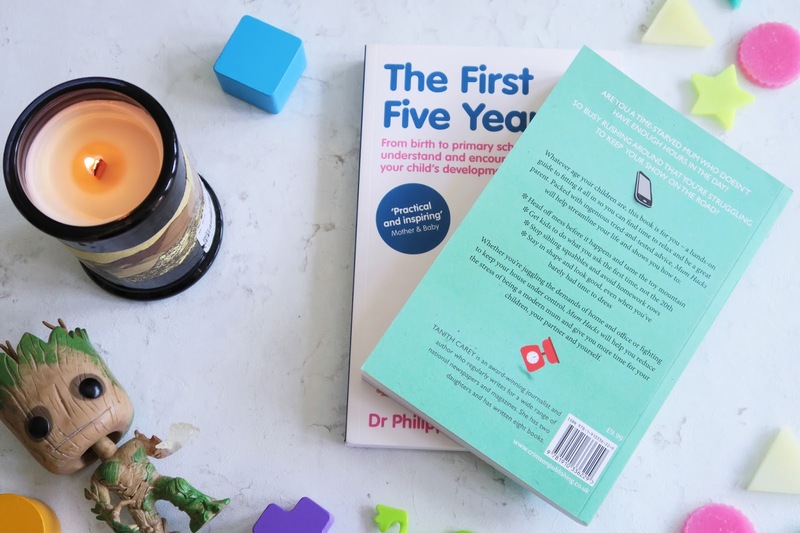 Mum Hacks is full of great tips to make your life a little bit easier when it comes to all things to do with being a mum (or dad!). With tips ranging from how to speed up making a packed lunch for your child to teaching your child how to dress themselves. There really are tips for every situation. The book is 160 pages full of tips and tricks that really will speed up your lives. I love that the book isn't judgemental and is all about making parenting a positive experience. The book also has a really handy index at the back so you can find tips for your current situation easily. I love this as not everything is relevant to the current age of my own child. Due to the range of ages the book covers, I know that I can keep going back to it as Elise gets older. As I said, not every section of this book is relevant to Elise's current age. I thought I would share my favourite sections of the book that are really helpful for parents of an 18 month old. I find that Elise loves to pull out every single toy she owns, and this create a great big mess that I then have to tidy up. I've started to limit the amount of toys she can get out at once by storing them in a cupboard. She then has a box with the toys for the day. I also find that this means she doesn't get bored of her toys, and constantly has a cycle of new toys to enjoy. One of my favourite hacks from this section is to ask Grandparents and other relatives to gift experiences rather than toys for birthdays and christmas. This way you won't get so many toys that you can no longer fit into your living room! The book says how the average number of toys a child has is 70! This is shocking, but when I look at the boxes of Elise's toys it is believable. I find that Elise has a few favourite toys that she plays with everyday, so the others she doesn't need and I've started selling them on local selling groups on Facebook. Another tip that I love is how to clean toys like lego. Tanith suggest putting them in a mesh bag and washing them in the dishwasher on a cool cycle. This is genius, and although we don't have a dishwasher I found that putting them in the bath or sink worked well too. We have been on a few holidays to Butlins Just For Tots in Minehead and we always find packing the car, and knowing what to take can be quite a task. I'm sure you are fully aware of the game of car Tetris to fit everything in, and chucking clothes in the suitcase after the holiday. Tanith explains how you can make life a bit easier preparing for holiday, and also whilst you are on holiday. Some of the tips are so obvious, but things you don't really think about, or forget to do. An example of a tip that is helpful is to roll clothes instead of folding them. I find that this not only saves space in your suitcase, but it also stops the clothes from getting creased. I tend to roll clothes in outfits too, and to keep them together I put socks at either end to keep the rolled clothes all together. This also saves time on holiday as you aren't searching for matching clothes every morning. Tanith also recommends planning some stop offs. We tend to just stop at the services, but this doesn't give Elise a chance to move about as she is just being put into another seat. A great tip is to find some parks on the way so they can let off some steam. I never thought about this, but it is something we are going to take on board. The only negative I can think of is that the book is called Mum Hacks. This might be off putting to Dads, and parenting is a joint thing. Dads will also benefit from this book so I think the title Parenting Hacks would be a little bit better. It is a bit old fashioned to assume that the mum is the one responsible for the raising of a child, and there are plenty of stay at home dads now. You can purchase Mum Hacks directing from Crimson Publishing's website or from Book Depository who offer free shipping worldwide. 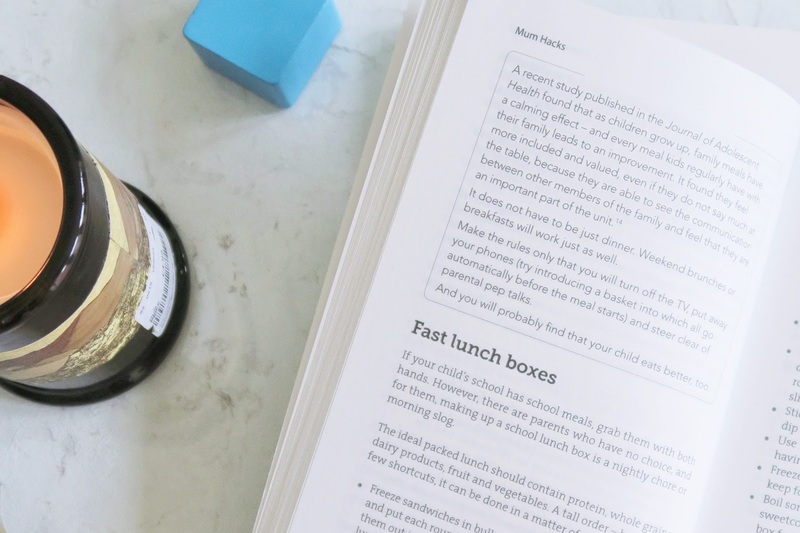 Crimson Publishing have been kind enough to offer one lucky person a free copy of Mum Hacks by entering the competition below. This giveaway will last for two weeks and your prize will be sent out directly by Crimson Publishing. The terms and conditions can be found underneath the Gleam widget. You can enter as many of the options as you like, and make sure you come back everyday to enter again! There is one prize provided of one paperback of Mum Hacks by Tanith Carey, this prize will be sent directly from Crimson Publishing. I will email or tweet the winner of the competition and they have 48 hours to get in touch. If they do not get in touch another winner will be drawn. You can enter multiple times a day by filling in the entries above. If you fail to complete one of your entries, all other entries will be invalid. The prize will be sent out within 30 days. The giveaway ends at 12pm on 13th June 2017. Any entries after this will not be counted. Crimson publishing provided me with a copy of Mum Hacks for my honest review. All views are my own and do not reflect the views of Crimson publishing. My mum hack is use talcum powder on wet sandy feet to get all the sand off easily. My parent hack has to be to let them wear swimming goggles when you was their hair then they don't get upset with water going in the eyes. Looks like a perfect book. Make soups that are packed with vegetables & blend, a good way of getting kids to eat veggies. we try growing different veggies each year as there is then more of a chance my son mighyt actually try them as he has helped grow them!